TL;DR - Comcast/Xfinity internet won't work with any routers or firewalls (like Cisco ASA-5500-X) using DHCPv6 in certain regions because the handshaking packets contain a hop limit of 0. This violates RFC 2460 which is the IPv6 specification where firewalls and routers are supposed to discard any IPv6 packets that contain a hop limit of 0. Comcast refuses to acknowledge or fix the issue and therefore anyone with a router/firewall that supports the spec will not be able to do DHCPv6 with Comcast as an ISP in regions that they send that invalid hop limit. I have been a faithful Cisco user for many years as my primary router/firewall. Their firewalls are certainly pricey, but you get what you pay for. Ever since the Cisco ASA 5505 was deprecated they lacked any real IPv6 support. I decided to upgrade to one of their newer generation Cisco ASA 5500-X models. The 5506-X hadn't been released and I trolled eBay to find a raging deal on an ASA 5512-X. Its a fantastic firewall and have been happy. 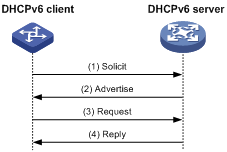 The only problem was that even though it supported IPv6, it did not support DHCPv6 Prefix Delegation (PD) client. This prevented me from being able to use IPv6 since that was what my ISP Comcast/Xfinity uses. In August 2016, Cisco released a newer firmware 9.6.2 that they touted support for DHCPv6-PD. So I decided to download and try. I had difficulty finding anyone who was able to get it working, but found an excellent post by a guy who was able to get it working on Telstra (Australian ISP). I tried out his configuration and got nothing. So I put it away for a couple of months and then decided to try again in January 2017. I set up the config, and I got nothing. I tried newer versions of the firmware in hopes that it was a Cisco bug, but it was still to no avail. So I decided to dig deeper. Looks good... Comcast is doing what they are supposed to. I get the router advertisement. My RS packets appear to be set up to send out every minute and a half, so waiting, I noticed the RS packet being sent to Comcast's router. So far so good, except I never receive back an Advertisement. Whaaaa? A packet is getting discarded to the outside interface before I can do anything with it. The firewall hardware appears to be tossing it. Ok, this is not good. Time to dig deeper. Luckily I can set up an asp-drop to see why the packets are bring dropped. Section 3 (p. 4):Hop Limit 8-bit unsigned integer. Decremented by 1 by each node that forwards the packet. The packet is discarded if Hop Limit is decremented to zero. Section 8.2 (p. 27):8.2 Maximum Packet Lifetime Unlike IPv4, IPv6 nodes are not required to enforce maximum packet lifetime. That is the reason the IPv4 "Time to Live" field was renamed "Hop Limit" in IPv6. In practice, very few, if any, IPv4 implementations conform to the requirement that they limit packet lifetime, so this is not a change in practice. Any upper-layer protocol that relies on the internet layer (whether IPv4 or IPv6) to limit packet lifetime ought to be upgraded to provide its own mechanisms for detecting and discarding obsolete packets. So, the spec basically says that it should discard packets with a hop limit of 0, and recommends that routers should be detecting and discarding packets. Looks to me like the Cisco ASA is doing what is recommended by the spec, but the Mac is not. The Mac is ignoring it. This seems to be par for the course with cheap routers as well. They don't care about the hop limit and ignore its value. But the nicer firewalls are certainly abiding by the spec. Other non-Comcast packet dumps on the net show that the hop limit on DHCPv6 do not have a hop limit of 0. I have seen them anywhere from 1 to 255. So this is certainly a Comcast-only problem. I brought this up to Comcast's attention by attempting to open a ticket. Opening an advanced ticket is rather difficult with their support. Your initial call will be met by someone in India or southeast Asia whereby their resolution to everything is to "Reset your modem". It takes quite a bit to get them to create a ticket number for you and forward it to tier 2 support. Tier 2 support brings you a little closer to home as it usually goes to a call center in Latin America. Tier 2 is a bit more tolerant to listening to the issue and they immediately told me they would send me to tier 3. Now we are hopefully getting somewhere as the tier 3 folks were here in the US. However, this problem still was a bit over their heads. They agreed with me that this would need to go to engineering. Then we wait. I finally got a call back from a nice lady named Kristen Niemeyer who is in tier 3 support. She said she needed to ask a manager on what to do and he was in a conference. She told me to hold so she could speak to him, and she came back with a dismaying answer. She said that Comcast would not send my ticket to engineering because the RFC 2460 spec was still in draft and that I was a residential client. She said that if I was a business client, then she would escalate it. I explained to her that the spec was a DRAFT STANDARD (meaning it was stable) and that all of IPv6 was based on it. That did nothing. I pointed her to a thread in the Xfinity forums that explains the problem, and she actually locked that thread without reason while on the phone with me - that was rude. She was a decent person, but she was likely following her manager's orders who clearly had no time to deal with engineering issues for residential clients. I decided to go another route and reach out to some higher ups myself. A guy by the name of John Brzozowski, who is also known as ComcastJohn in the Xfinity help forums, touts himself as the IPv6 lead and Fellow for Comcast. He has quite the pedigree as it appears that he has had his hands in a few RFC standards surrounding IPv6. I figured he would understand the problem and act quickly, as surely he would care. He constantly posts in the Xfinity and Reddit formus to reach out to him directly if you have any problems issues with Comcast's IPv6. I did just that. 3 emails. 1 Xfinity forum private message. 1 Reddit private message. Number of responses from him: 0. I reached out to some other people on the Reddit IPv6 forums and the Cisco support forums to see if others experienced similar issues. Sure enough we found that Comcast's support of the hop limit appears to be regional. One person from Reddit who has his 5506-X working lives in the Twin Cities Metro area of Comcast on residential service. His packet dumps yielded a hop limit of 255. Hence his Cisco ASA accepts the packet. A person on the Cisco forums lives in the South Florida area using residential and he receives a packet with a hop limit of 0 as well with a 5506-X, and he also is unable to get IPv6 working for the same reasons as me. I live in Colorado in the Denver area, and well, you know the story on my experience with their IPv6. So the region appears to have an impact. This leads us to today. Comcast appears to gloat on the net that they have one of the most advanced IPv6 networks in place are hopefully looking to proliferate that. But they aren't fixing some of the nasty bugs. The Cisco ASA products are a staple for people who work from home or have small businesses to connect to their mother ship. Many companies dole these firewalls out and only allow those to work with their corporate offices. Until Comcast takes these users seriously and applies the RFC 2460 spec in its entirety, their proliferation with IPv6 will halt. In time, more and more routers will support the specification, and less and less will work with Comcast. At some point they will need to acknowledge and fix the problem if they want serious users to leverage their IPv6 stack. I wrote this blog post to share with people who have attempted to get their Cisco ASA equipment to work with Comcast's IPv6. I spent a lot of time figuring this out, so it is my hope that if it saves someone else time, I have done my job. In the mean time, if you are a Comcast customer and own a nice router/firewall, stick to good old IPv4 and hope that one day Comcast will properly implement their DHCPv6 stack. ArrisTuska (aka Chris Tuska) who is an outstanding Arris Engineer confirmed the problem is with the Arris CMTS software. He was instrumental in agreeing this was a bug and getting the patches out to Comcast and getting them deployed to their CMTS units. You can read the entire thread here. I verified this with a Juniper vSRX as well. I live in the Southeast Houston Area and this started to occur after my service was upgraded to 200Mbps down. I used to receive a prefix-delegation and now since the upgrade, I am receiving the dreaded "Hop Limit 0" DHCPv6 XID Advertisement. It's easily reproducible and I got the repsonse from Tier 2 saying it should be fixed in a couple of hours. It's now into the afternoon and still getting "Hop Limit 0". Hi Robert, thanks for sharing! Please report back if they resolve it for you and if you could share your ticket number with me if it does get resolved. I would love to see this get fixed for all Comcast customers. I'm in TWC, now Spectrum, land (or, not Comcast) and I'm seeing this as well on my SRX. 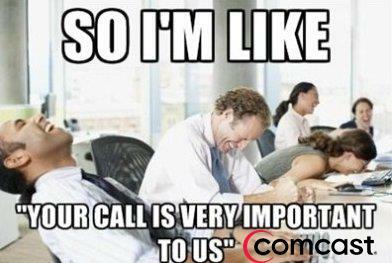 So this isn't listed to Comcast anymore. Starting to look like a CMTS bug from the CMTS vendor, perhaps. Arris, maybe? According to http://forums.xfinity.com/t5/Your-Home-Network/Stunningly-poor-IPv6-tech-support-Modem-in-Bridge-Mode-for-IPv6/td-p/2895476/page/2 the issue is Arris, but I'm still waiting for an update on the thread. It's too bad you decided to go with an ASA instead of a 1921 or something, you could have forgone all this headache and set up a ipv6inip tunnel with Hurricane Electric - they do a whole tutorial and everything if you're interested in the service provider aspect (setting up AAAA dns records and glue records for your domain, native ipv6 reachable mail/web servers, etc.). Plus, you get a /64 for the outside and a /48 routed to you - free. It's at http://tunnelbroker.he.net if you're interested. Charter haven't sorted their ipv6 offering out (hopefully they just bite the bullet and go native dual stack) so I've had to go this path. Admittedly, if *working* native dual stack were on offer, I'd be tempted to go with an ASA just to consolidate a router and a switch into one device. I'm still going to ask Cisco to at least add a toggle for accepting/rejecting hop-limit 0 packets, like some (not all) Juniper gear has. ASA 9.10(1) fixes this problem (CSCvi46759) by following RFC8200, so that DHCPv6 works again even if the CMTS uses a zero hop count.